Hide deals from seller "Nana Clare's Biscotti"
Satisfy your sweet tooth with this deal for 50% off one dozen assorted biscotti from Nana Clare’s Biscotti ($19 value). 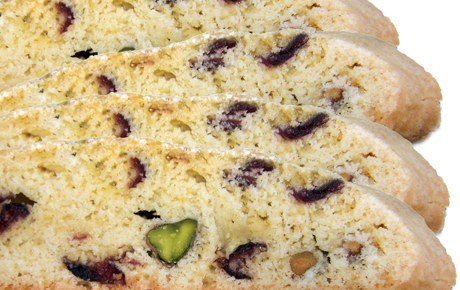 These seasonal treats can be shipped anywhere nationwide and includes 12 assorted biscotti. Using Nana Clare’s original family recipes, this bakery makes homemade biscotti that are deliciously moist and firm. Every batch is hand-mixed and rolled, giving each biscotti its own distinctive size and shape. Whether you like to dunk them in coffee or just enjoy them by themselves, these biscotti are a perfect snack. Delight yourself with fanciful flavors like pistachio cranberry, chocolate almond, white chocolate cherry and more. Sway your sweetheart with this sweet deal. Bakery that makes homemade, authentic biscotti and ships them nationwide.